Greybrook Realty Partners Inc. announced today the successful closing of an initial equity investment by its managed issuer of CDN$40,484,720. On the scheduled closing date, the investment proceeds will be used to fund the acquisition and development of a prime parcel of land located in Miami Florida. Together with its developer partner, Property Markets Group (PMG), the firm will develop the land into a mixed-use multifamily residence consisting of over 690 units and 20,000 square feet of commercial space at grade. The property is located within Miami’s rapidly growing Downtown Miami neighbourhood at 400 Biscayne Boulevard. The planned development will feature unobstructed waterfront views of Biscayne Bay, Miami Beach, South Beach and the Atlantic Ocean. The development site, which is adjacent to Bayside Marketplace, Bayfront Park and American Airlines Arena, will provide future tenants with convenient access to public transit, including the Brightline intercity rail system and everything Downtown Miami has to offer. The future site of one of the largest private master-planned projects in the United States, the Miami Worldcenter, is located one block northwest of the development. The Miami Worldcenter is expected to bring over one million square feet of luxury retail, dining and entertainment to the area once it is completed. 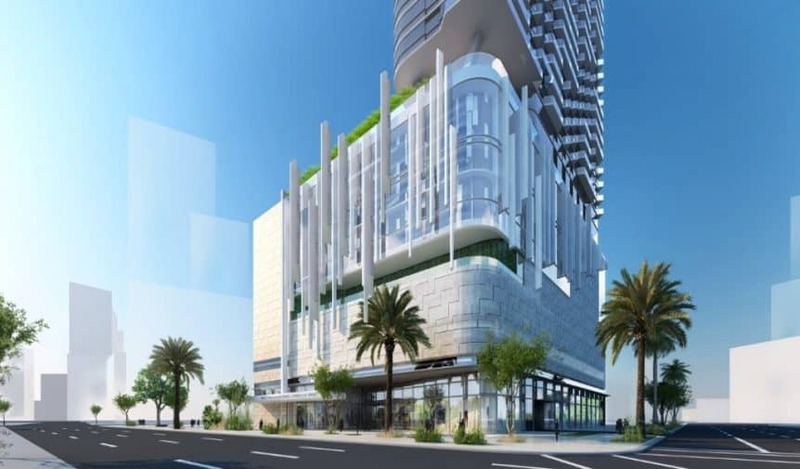 Greybrook and PMG are also currently developing a nearby property, located at 300 Biscayne Boulevard, into an ultra-luxury residential condominium. The development will provide residents with an array of premium amenities, including: smart home features (keyless entry and audio, video and thermostat control via a mobile app); a large co-working space with integrated library and business centre; a fully-equipped fitness centre featuring a pool, a spa and a yoga studio; on-site bars; restaurants; retail shopping; and seamless wi-fi access throughout the building. View the full release on Globe Newswire.